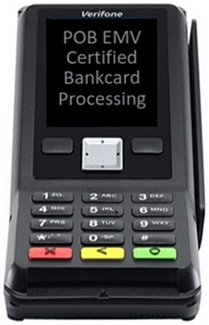 POB point of banking processors are providing merchants with the ability to accept credit cards and debit cards in their retail business at no cost and most retail merchants are not aware this option even exists! This provides much opportunity for sales professionals to make money selling no cost bank card processing services right now anywhere in the United States. Request complete program information for resellers and get signed up with industry leading support that comes with competitive pricing for pos equipment, pob processing services, and tech support. We look forward to working together with you to provide your merchants with the quality service and attention to detail they deserve which helps you succeed! Want to work from home part time? Have no experience selling merchant services? Not a problem! If you are a self starter who enjoys working with people and seek to expand your experience and abilities selling new products and services, please contact us for a phone consultation and let us spend time helping you learn how to be successful selling POB services. your earning potential with fixed pricing programs you cannot markup. As a salesperson, you should be in control of your growing sales potential! independent distributor selling POB merchant services anywhere in the U.S.